Product information "Haibike SDURO Fullseven Life 3.0 gray/gray/coral 2019"
The SDURO Fullseven Life is equipped with 27.5 inch wheels. These guarantee an agile driving behavior in the area and on trails. The 120mm suspension fork, the damper and the 180mm disc brake provide the necessary security. The Life models are specially tailored to the needs of women. In other words, the Life models have custom geometry, a special saddle and special grips. In addition, the frames are also made in small sizes. Due to the 10-speed gear you always have the right gear for every terrain. So you're not too steep! This is also ensured by the powerful Yamaha PW-SE engine with 250W. The 500Wh battery ensures that you can handle long trips without any problems. Thus, the SDURO Fullseven Life is the perfect choice for women who want to do longer tours off-road and on easy trails. 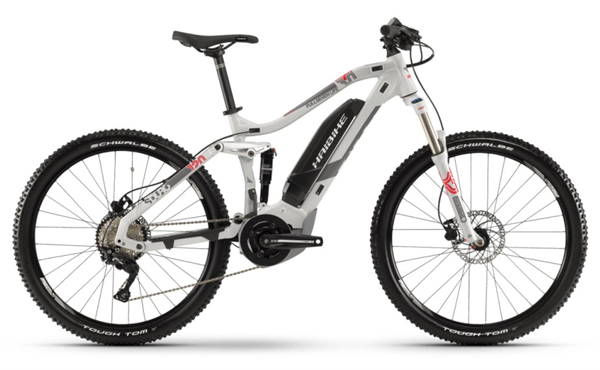 Related links to "Haibike SDURO Fullseven Life 3.0 gray/gray/coral 2019"
Customer evaluation for "Haibike SDURO Fullseven Life 3.0 gray/gray/coral 2019"